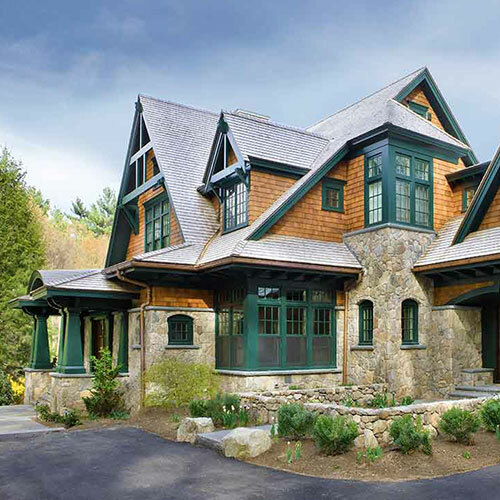 Combining quintessential shingle style with Adirondack influences yields a distinctive family home. 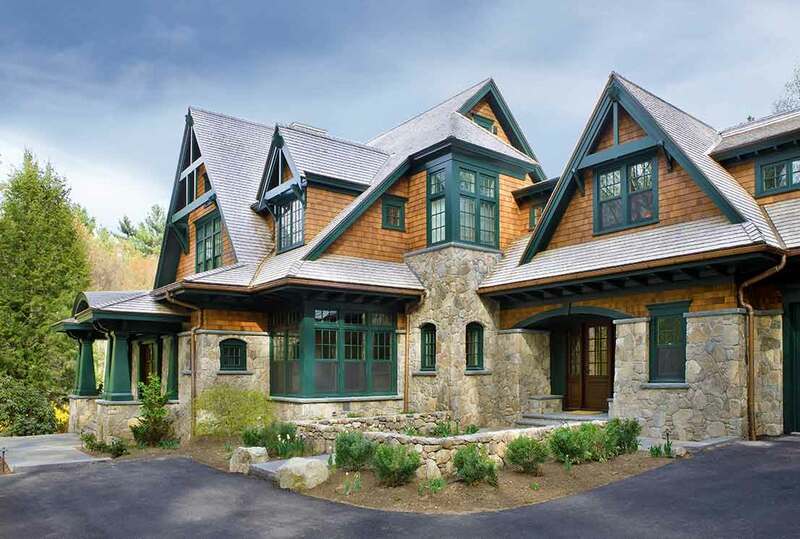 A tapered fieldstone first floor and craftsman-inspired front columns flank the rough-hewn wooden entryway. Inside, the house boasts the full suite of both formal and informal living spaces, including a music room and a screened porch with rustic fireplace.